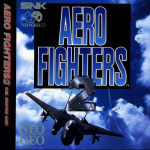 Hamster has revealed that Video System's 1994 shooter Aero Fighters 2 is next week's ACA Neo Geo title on the Switch eShop. It's a neat change from the usual raft of fighting titles, and is one of the Neo Geo's more enjoyable blasters. While the game contains plenty of outlandish bosses and enemies, all of the player-controlled planes are based on real-life jets, such as the F-14 Tomcat, F-15 Strike Eagle and Northrop YF-23. The pilots are totally bonkers, though - one of them is a dolphin. We remember this being a fun shooter with a delicious sense of humour. Will you be downloading it next week? Frekin' love the whole series, even have the original one CIB on Super Famicom. The zany dialogue and over the top ending are the cherry on top of the cake. Bring more shmups on Switch please! I'll buy any shm'up they release on the Switch! Well except maybe Cho Aniki. It's a certain day one download for me. That leaves King of Fighters 2000 as the only confirmed title left so that'll probably arrive the week after. Hopefully we'll find out about the next batch of releases soon. You know what? Yes...yes I will be downloading this next week. @OorWullie Aw man, Last Blade 2 is lush! @GrailUK I've never actually played it but I've read all about it. After playing Garou for the first time this past few weeks and absolutely loving it I'm wanting more like it and Last Blade 2 seems to be as good as it gets. I heart Hamster. Loved Aero Fighters Assault (N64) and this looks like a great pickup and play title. Baseball Stars Professional is coming....I can feel it, lol. @OorWullie a lot of those and more are part of the ACA on P.C, XB and PS4 so I think they're safe bets. I knew about Aerofighters Assault bit not this...definitely downloading. For the longest time I've been trying to recall what this game was. They had one in an IHOP when I was a kid. Definitely picking it up. @PAHTK Yep I think so,it's just matter of time. They're obviously selling really well on Switch as it has a fair few titles now that are yet to come to the other platforms. That means as well as the eventual arrival of those games there should still be a few surprises too. This looks like something I'd enjoy a whole lot. It's got the same flavor to it as most of Psikyo's shooters, which I love. Ah, cool. I'll definitely be picking this up. Love top down shmups when they're not of the ludicrous bullet hell variety. Good ole Hamster! Keep bringing it!! Gotta top up that eShop account for the next couple releases! @OorWullie oh cool! Can I ask where you saw this? I believe you, it's just I want to keep up to date with new releases. I follow Hamster on Twitter but don't see mention of upcoming releases, although I could have missed the tweets. Is this the game which has the ending: "We fought a food fight, we saved the world"? Been waiting for a good quality shooter. This is the closest I've seen to an old SNES game I used to have: STG Strike Gunner. I'll be purchasing this day one. @wasilewski I check the Arcade Archives Wikipedia page. It usually updates every 3 or 4 weeks with some new TBA titles and most of the time they're on the Eshop in the weeks soon after. There's an occasional surprise though, Samurai Shodown for example wasn't on Wiki until after I read about on here. Generally though, it's a good source for knowing what's ahead well in advance. @OorWullie I never thought of Wikipedia, looks like a good source of info. Cheers mate! @OorWullie There are some who prefer the original Last Blade over the sequel. I tend to play the first one, but I want to familiarize myself with part two again as it has been a few years. I recall thinking that some of the game-play changes made for the second one were not improvements. If you're not familiar with either game, it might be worth looking at the differences in how they play. For me, I didn't love the changes made to the "speed" mode. I feel like SNK has been shoveling there old titles onto switch. Aero Fighters 2 by Video System(before Psikyo) is a good one. It plays very well. It has some interesting features, as I recall, such as variable stage order and boss fights. I remember encountering different bosses in different sessions. I really like the sense of humor here, which you don't often see in a non-parody shmup or cute shooter. Not only is there a dolphin, but also a punk rocker, a ("rude") baby, a female pop idol, a ninja, and a human head in a jar attached to a robot body. Good times! @Kirbyfan they are and it's great! Most of the games I've bought have been from the ACA series. YES! One of my favorite games from when I was a kid. I dropped a lot of coin playing Samurai Shodown, World Heroes, and Aero Fighters 2. Now that I finally found a Switch and I have a $50 Nintendo card, I'm tempted to spend it on NeoGeo games. @NinChocolate Zed Blade was pretty solid, but not Pulstar solid, so please the latter before the former, Hamster. I've been truly digging the Neo Geo releases. I have 3 fighters though now so, it would be nice to pickup something else. I just started Wonderboy though so, it might be a few days before a new game purchase. I might have seen this in the arcades back in the day. I might get this. Looks awesome and seems somewhat like a predecessor to Sin & Punishment with some of the crazy types of enemies (and the dolphin pilot). Day one, for sure. Does this game have auto-fire? A lot of the older shmups demand repeated button presses where I prefer to just hold down fire and focus on shooting/dodging. Otherwise this looks great. Any other vert shmups on the system or forthcoming anyone would recommend? Sorry for the late reply: been off the grid for a while due to very unfortunate family circumstances. @ThanosReXXX Sorry to hear that I've been managing to keep up despite similar circumstances myself! @NEStalgia In that case, my sympathies to you as well. Losing a loved one in your family is pretty hard to deal with, as I'm finding out myself.